Duplicate Ration Card is issued in case of loss or damage of ration card. The ration card is mostly issued to the economically weaker sections of the society and can be used to buy essential grocery items at subsidized prices. Mostly grains, pulses, oil, kerosene etc are provided by the government to the ration card holders. People residing in Gujarat can apply for duplicate ration card offline and online in Digital Gujarat portal. Who can apply for Duplicate Ration Card in Gujarat? STEP 2: If you are not already registered with this portal then register yourself first, click Here for the step by step procedure for Registration on Digital Gujarat official portal. 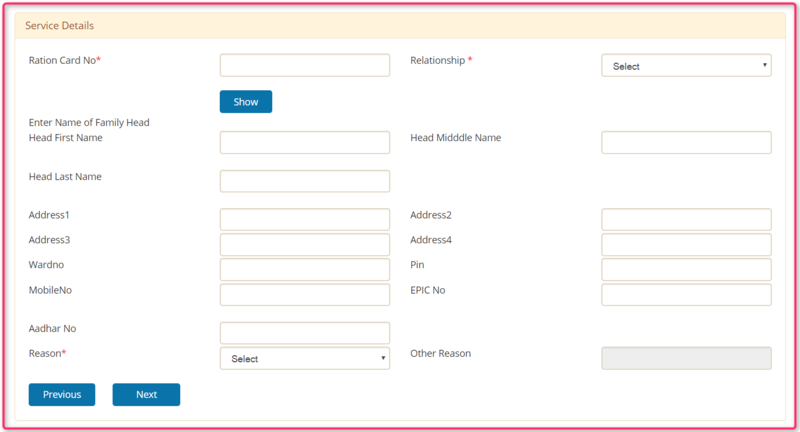 After successful registration clicks on Revenue menu options present on the home page, and then click on the more in the submenu, this will take you to the page as shown below, click on the Duplicate Ration Card. STEP 3: You will be taken to the next page click on the Apply Online button for online application. In case you want to apply offline then click on Download Form for offline application. STEP 8: Once all the documents are uploaded correctly click on Submit and then you will need to pay online which will complete the application procedure.